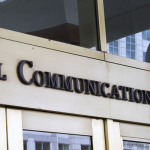 Broadband and mobile networks and the core Internet have all grown up outside of Title II. The lack of interference from Washington is a big factor in their success (and why the heavily regulated Title II telephone network is withering away). Not only would Title II disrupt today’s broadband, video, and Web markets, it would also prevent this highly dynamic system from finding its way toward the new technologies, better products, lower prices, and unseen content innovations of the future. AT&T and Verizon Again Named Top "Investment Heroes"